We offer a wide range of services to the electronics industry from R&D for specific projects, PCB design and manufacture to installation and commissioning. Have you a specific application that you cannot find an "off-the-shelf" solution for. We can take your ideas and application one step further and tailor make a solution for you. From the initial project start to a completed prototype in weeks. Mass production facilities, using pick-and-place machines, available for those large projects. Any product is as good as the circuit board that contains the components that runs the application. We specialise in designing, and with our contacts in the industry, manufacturing the PCB for you. 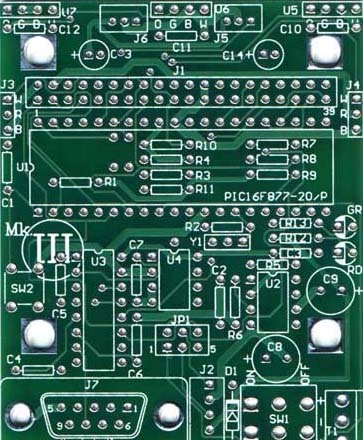 Have you a schematic that you need converted into a PCB ? We can do the job for you.